Biographical studies of Cromwell are legion and range for excellent to dire. Although inevitably dated in places, the studies written by the two greatest late Victorian historians of the man and his era remain masterpieces – S.R. Gardiner, Cromwell’s Place in History (1897), Gardiner, Oliver Cromwell (1901) and C.H. Firth, Oliver Cromwell and the Rule of the Puritans (1900). Firth’s book rests in part upon the biography he wrote for the original edition of the Dictionary of National Biography in 1888, which itself provides a concise and thoughtful introduction to Cromwell. Of the somewhat more recent, twentieth-century biographies, J. Buchan, Oliver Cromwell (1934) is an elegant study and M. Ashley, Oliver Cromwell, the Conservative Dictator (1937) and C.V. Wedgwood, Oliver Cromwell (1939) reflect both their authors’ strong narrative skills and the era in which they were written; it is interesting to see the extensive changes both authors made to their texts and their views of Cromwell when revised editions appeared many years later, Ashley changing the title of his revised biography to The Greatness of Oliver Cromwell (1957), while Wedgwood retained her simpler title for the new and much changed 1973 edition of her biography. R.S. Paul, The Lord Protector (1955) is particularly strong on Cromwell’s personal faith and religious policies and set a new standard in the close reading of Cromwell’s own words (from his surviving letters and texts of his speeches) in order to reconstruct his views. P. Young, Oliver Cromwell (1962) and J. Gillingham, Cromwell, Portrait of a Soldier (1976) focus on Cromwell’s military career. C. Hill, God’s Englishman (1970) is a brilliant and stimulating thematic study by perhaps the greatest left-wing historian of his day. A. Fraser, Cromwell, Our Chief of Men (1973) is a very detailed account and is probably the biography best known outside academic circles. Also during the 1970s I. Roots edited a good collection of articles on the man and his policies, Cromwell, A Profile (1973) and Roger Howell wrote a short but clear biography, Cromwell (1977). Although few major full-length biographies appeared during the 1980s – the best biography of that decade is probably Pauline Gregg, Oliver Cromwell (1988) – since then there has been a steady flow of new work. Fairly straightforward biographies include B. Coward, Oliver Cromwell (1991), P. Gaunt, Oliver Cromwell (1996), a second and different biography by Gaunt, Oliver Cromwell (2004), Martyn Bennett, Oliver Cromwell (2006) and I. Gentles, Oliver Cromwell: God’s Warrior and the English Revolution (2011). J. Morrill’s excellent concise biography for the new edition of the Oxford Dictionary of National Biography (2004) was reprinted as a separate short biography, Oliver Cromwell (2007). J.C. Davis, Oliver Cromwell (2000) is not a straightforward biographical account but rather offers thematic assessments of Cromwell’s changing reputation and of the different aspects and themes of his life and career. More recently, Davis has a strong and thoughtful chapter on Cromwell in M. Braddick, ed., The Oxford Handbook of the English Revolution (2015) and D. Horspool has written a short biography of Oliver Cromwell, England’s Protector (2017) in the ‘Penguin monarchs’ series. Two full-length studies which co-incidentally appeared almost at the same time – F. Kitson, Old Ironsides: The Military Biography of Oliver Cromwell (2004) and A. Marshall, Oliver Cromwell, Soldier (2004) – reassess Cromwell’s active military career from 1642 to 1651, as does M. Bennett, Cromwell at War: the Lord General and his Military Revolution (2017). R. Hutton, Debates in Stuart History (2004) is interesting as it includes a chapter on Cromwell which is a much more critical than has been the norm amongst recent biographers. There have also been several important edited collections on Cromwell. P. Gaunt has edited two short but wide-ranging collections reprinting papers which have appeared in the Association’s journal, Cromwell 400 (1999) and Cromwell Four Centuries On (2013). J. Morrill, ed., Oliver Cromwell and the English Revolution (1990) includes important reappraisals of the early life of Cromwell, his military career, his faith and handling of religion, his relations with parliament, his attitude to Scotland and Ireland and his time as Protector. P. Little, ed., Oliver Cromwell, New Perspectives (2009) also ranges widely, offering further insights into aspects of his early life, his role in the opening years of the Long Parliament, his military reputation during the main civil war, his relations with the Levellers and with Ireland, his Welshness and his court. As well as the important chapters by Morrill himself within J. Morrill, ed., Oliver Cromwell and the English Revolution (1990) and by S. Healy in P. Little, ed., Oliver Cromwell, New Perspectives (2009), A. Barclay, Electing Cromwell: The Making of a Politician (2011) presents a scintillating and detailed new picture of Cromwell in the years before the civil war, reconstructing aspects of his life, outlook, faith and religious activities during the 1630s. This leads up to a reassessment of why Cromwell was returned as MP for Cambridge in 1640, for which see also Barclay’s article on this question in Parliamentary History, 29 (2010). Barclay also examines Cromwell’s links with the underground opposition to Charles I’s bishop of Ely in Cromwelliana (2012). Cromwell’s military campaigns in England and Wales, 1642-6, are best approached via the military biographies of Young, Gillingham, Kitson and Marshall (listed above) and by A. Woolrych’s chapter in J. Morrill, ed., Oliver Cromwell and the English Revolution (1990). Some of the more detailed accounts of particular regions, regional campaigns and battles throw important light on Cromwell. Thus C. Holmes, The Eastern Association in the English Civil War (1974) has much on Cromwell’s role and military career during the opening years of the war – Holmes explores and seeks to identify the author of an anonymous and very critical account of Cromwell’s actions at this time in English Historical Review, 129 (2014) – as do articles by P. Gaunt and S. Sadler in Cromwelliana (2003) and (2012) respectively, by Sadler in P. Little, ed., Oliver Cromwell, New Perspectives (2009) and by G. Hart on Cromwell’s alleged iconoclasm at Ely Cathedral in Historical Research, 87 (2014); he features in studies of the campaign culminating with, and in accounts of, the battle of Marston Moor, including P. Wenham, The Siege of York and the Battle of Marston Moor (1969), P. Young, Marston Moor, 1644: the Campaign and the Battle (1970), J. Barratt, The Battle for York: Marston Moor, 1644 (2002), P.R. Newman, Marston Moor, 1644: the Battle of the Five Armies (2003), J. Tincey, Marston Moor, 1644: the Beginning of the End (2004) and M. Wanklyn, Decisive Battles of the English Civil War (2006); he features in studies of the campaign culminating with, and in accounts of, the second battle of Newbury, including M. Wanklyn, Decisive Battles of the English Civil War (2006) and two key articles by Wanklyn, ‘“A general much maligned”: the generalship of the Earl of Manchester, July to November 1644’, War in History, 14 (2007) and ‘Oliver Cromwell and the performance of parliament’s armies in the Newbury campaign, 20 October-21 November 1644’, History, 96 (2011); he features in studies of the campaign culminating with, and in accounts of the battle of, Naseby, including P. Young, Naseby, 1645: the Campaign and the Battle (1985), G. Foard, Naseby, the Decisive Campaign (1995), M.M. Evans, Naseby, 1645: the Triumph of the New Model Army (2007) and M. Wanklyn, Decisive Battles of the English Civil War (2006); and his role in the final significant field engagement he fought during the main civil war is explored in J.S. Wardman, The Forgotten Battle: Torrington, 1646 (1996). These campaigns and battles and Cromwell’s contribution in the main civil war are also assessed in some detail in M. Wanklyn, The Warrior Generals: Winning the British Civil Wars (2010). His military and wider career within the New Model from 1645 are covered by I. Gentles, The New Model Army in England, Ireland and Scotland, 1645-1653 (1991). By far the best and fullest study of army politics between the first and second civil wars and of Cromwell’s role within it in 1646-8 is A. Woolrych, Soldiers and Statesmen (1987). He also features in wider studies of (army) politics in these years, including M. Mendle, ed., The Putney Debates of 1647 (2001), and to some extent in P. Baker and E. Vernon, eds, The Agreements of the People, the Levellers and the Constitutional Crisis of the English Revolution (2012). The broader context of the renewed or second civil war of 1648 is examined in great detail in R. Ashton, Counter-Revolution: The Second Civil War and its Origins (1994), while the best study of the rising in Pembrokeshire and South Wales against which Cromwell led part of the New Model in summer 1648 is R. Matthews, ‘A Storme Out of Wales’: The Second Civil War in South Wales (2012). The campaign and battle of Preston are assessed in I. Gentles, The New Model Army (1991), S. Bull and M. Seed, Bloody Preston: The Battle of Preston, 1648 (1998), M. Wanklyn, Decisive Battles of the English Civil War (2006), S. Bull in Cromwelliana (2008) and M. Wanklyn, The Warrior Generals: Winning the British Civil Wars (2010). There has been much work in recent years on the regicide in general, on how far and until when alternatives short of execution remained viable and on Cromwell’s own attitude and views in particular. For a flavour of this, see J. Peacey, ed., The Regicides and the Execution of Charles I (2001) and C. Holmes, Why Was Charles I Executed? (2006) chapter five, together with Holmes’s article on ‘The trial and execution of the king’, Historical Journal, 53 (2010) and M. Kishlansky’s rather different perspective in ‘Mission impossible: Charles I, Oliver Cromwell and the regicide’, English Historical Review, 125 (2010). On Cromwell and the regicide, see also the articles by P. Little and J. Graham in Cromwelliana (2011). Cromwell’s campaign in Ireland 1649-50, his attitude to the various groups there and his longer-term impact upon English policy towards Ireland and especially its Catholic population all remain matters of huge controversy and have attracted strong and starkly-divergent historical interpretations. While J.S. Wheeler, Cromwell in Ireland (1999) retells the traditional story in a balanced way, M. Ó’Siochrú, God’s Executioner (2008) returns to the very bleak image of Cromwell’s attitude to Ireland and the Irish that was the norm in the nineteenth and for much of the twentieth century, but T. Reilly, Cromwell Was Framed (2014) presents a revisionist argument and largely acquits Cromwell of the usual charges regarding his Irish campaign. The same difference of opinion emerges in several chapters, including those of Morrill and Ó’Siochrú, in D. Edwards, P. Lenihan and C. Tait, eds, Age of Atrocity: Violence and Political Conflict in Early Modern Ireland (2007). There has also been a burst of new work assessing the English (parliament’s) treatment of Ireland and the Irish once Cromwell’s campaign was over, exploring his attitude to the island after he had left, never to return, in spring 1650 and questioning how far the brutal treatment and displacement of much of the Irish Catholic population in the early 1650s can really be attributed to Cromwell or accorded with his views; this new work is to be found in a series of specialist academic articles, by J. Morrill in Parliamentary History, 30 (2011) – see also Morrill’s broader assessment of the religious context of the Cromwellian conquest in Cromwelliana (2014) – and by J. Cunningham in Historical Journal, 53 (2010), Irish Historical Studies, 37 (2011), English Historical Review, 129 (2014), Cromwelliana (2014) and Irish Historical Studies, 40 (2016). Cromwell’s campaign in Scotland and against the Scots 1650-1 and his attitude to Scotland are less controversial. J. Grainger, Cromwell Against the Scots (1997) provides a decent account of the campaign – see also P. Gaunt and M. Wanklyn in Cromwelliana (2001) and (2015) respectively – while M. Atkin, Cromwell’s Crowning Mercy: the Battle of Worcester, 1651 (1998) is equally solid. D. Hallmark, ed., The Battle of Worcester, 1651 (2012) is a lavishly-illustrated volume bringing together a series of addresses and other pieces on the campaign and battle, by R. Hutton, S.K. Roberts, R. Holmes, J. Sutton, P. Gaunt, G. Douds, B. Coward, B. Worden, A. Hughes and others. Aside from his campaigns, Cromwell’s political role and career from the end of 1648 to the end of 1653 and his relationship with the Rump and Nominated Assembly can be charted via a trio of detailed studies which, despite their age, have not been bettered: D. Underdown, Pride’s Purge (1971), B. Worden, The Rump Parliament (1974) and A. Woolrych, Commonwealth to Protectorate (1982). B. Worden reviews Cromwell’s relationship with the Long Parliament and its Rump in Cromwelliana (2003) – and more broadly with parliament in general in Cromwelliana (2014) – and C. Holmes reconsiders Cromwell’s ejection of the Rump in spring 1653 in Why Was Charles I Executed? (2006) chapter six. By far the best introduction to the Protectorate is B. Coward, The Cromwellian Protectorate (2002), in part a chronological account, in part a thematic assessment, closing with a detailed bibliography. This is not to be confused with an edited collection of the same title, P. Little, ed., The Cromwellian Protectorate (2007), containing important new work on the Protectorate, including aspects of its parliamentary, conciliar, religious, British and cultural history. Several contributors to that volume – B. Coward, C. Durston, P. Gaunt and S.K. Roberts – also have articles on aspects of the Protectorate in Cromwelliana (2004) and Coward, Gaunt and Little have articles on the Protectorate in 1655 in Cromwelliana (2006). B. Worden reassesses ‘Oliver Cromwell and his Protectorate’ in Transactions of the Royal Historical Society, 6th series 20 (2010). D.L. Smith, ed., Cromwell and the Interregnum: the Essential Readings (2003) gathers and reprints some important articles on the Protectorate, notably A. Woolrych’s assessment of whether it was a military dictatorship, P. Gaunt on the constitutional role of the Council, B. Worden and J.C. Davis on religious aspects and Smith himself on Cromwell and the first Protectorate Parliament. B. Worden, ed., God’s Instruments: Political Conduct in the England of Oliver Cromwell (2012) brings together a clutch of his own earlier articles and chapters, some in revised or extended forms, including a trio of very important articles on religion – ‘Cromwell and the Sin of Achan’, ‘Providence and Politics’ and ‘Toleration and the Protectorate’ – and some on more secular aspects of Cromwell’s government. Cromwell’s religion is also explored by J. Halcomb and A. Hughes in Cromwelliana (2016). R. Sherwood, The Court of Oliver Cromwell (1977) remains the best study of the Protectoral court and household, while R. Sherwood, Oliver Cromwell: King in all but Name (1997) emphasises the regal nature of Cromwellian rule. P. Little has recently led the field in work on the culture and image of Cromwell and his Protectoral court, a flavour of which can be gleaned from his articles in Cromwelliana (2009) and (2012). The cultivation of Cromwell’s image as Protector is also explored, in different ways, by L.L. Knoppers, Constructing Cromwell: Ceremony, Portrait and Print, 1645-1661 (2001) and by K. Sharpe in the closing part of ,em>Image Wars: Promoting Kings and Commonwealths in England, 1603-60 (2010). J. Cooper, Oliver the First: Contemporary Images of Oliver Cromwell (1999) is a good and well-illustrated introduction to that topic. By far the fullest assessment of the Protectorate Parliaments is P. Little and D.L. Smith, Parliaments and Politics during the Cromwellian Protectorate (2008); other broad assessments include an article by R. Howell reprinted in R.C. Richardson, ed., Images of Oliver Cromwell; Essays for and by Roger Howell, Jr. (1993) and a chapter by P. Gaunt in I. Roots, ed., Into Another Mould: Aspects of the Interregnum (1998). A clutch of articles or chapters explore specific parliaments, some already referred to – notably D.L. Smith on the first Protectorate Parliament in the collection he edited Cromwell and the Interregnum: the Essential Readings (2003) – but see also pieces on the first Protectorate Parliament by D.L. 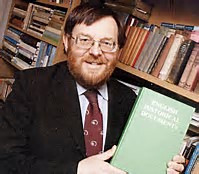 Smith in Parliamentary History, 19 (2000) and by P. Gaunt in Parliamentary History, 6 (1987) and in C. Jones, M. Newitt and S.K. Roberts, eds, Politics and People in Revolutionary England (1986); and on the second Protectorate Parliament by C. Egloff and S.K. Roberts in Parliamentary History, 17 (1998) and 23 (2004) respectively. J. Fitzgibbons has an excellent article on the ‘Other House’ in Cromwelliana (2016). The Protectorate Council is explored by P. Gaunt in an article reprinted in D.L. Smith, ed., Cromwell and the Interregnum: the Essential Readings (2003) and by B. Worden in a chapter in his God’s Instruments: Political Conduct in the England of Oliver Cromwell (2012), a fuller version of his earlier chapter in P. Little, ed., The Cromwellian Protectorate (2007). The conciliar ordinances of 1653-4 are reassessed by P. Gaunt in P. Little, ed., The Cromwellian Protectorate (2007) and more specifically the religious ordinances and ‘settlement’ by J.R. Collins in History, 87 (2002). Despite its age, the best overview of finances during the Protectorate remains M. Ashley, Financial and Commercial Policy under the Commonwealth and Protectorate (1972). The broadest study of the army in England during the 1650s is H. Reece, The Army in Cromwellian England, 1649-60 (2013), but its coverage of the army’s direct and political influence during Oliver’s Protectorate is quite limited – unlike its much fuller and stronger assessment of the army’s political role in 1659-60. We need more on the military’s role during the Protectorate, though see D. Massarella’s chapter in I. Roots, ed., Into Another Mould: Aspects of the Interregnum (1998) and A. Woolrych’s article largely refuting the idea that the Protectorate was a military dictatorship reprinted in D.L. Smith, ed., Cromwell and the Interregnum: the Essential Readings (2003). In contrast, we do now have a good, strong, full-length study of the regime and rule of Major-Generals, 1655-7, by C. Durston, Cromwell’s Major-Generals: Godly Government during the English Revolution (2001). Despite renewed interest in seventeenth-century naval history, B. Capp, Cromwell’s Navy: the Fleet and the English Revolution (1989) remains the best study of the Protectoral navy. The so-called (and misnamed) readmission of the Jews in 1655-6 is the focus of articles by B. Coulton and E. Samuel in Cromwelliana (2001) and (2007) respectively, while the offer of the crown in spring 1657 is explored in different ways by C. Holmes, Why Was Charles I Executed? (2006) chapter seven and J. Fitzgibbons in English Historical Review, 128 (2013). The reporting of the kingship debates is examined by J. Fitzgibbons in Historical Research, 89 (2016). B. Woodford explores the printing of Cromwell’s speeches in Parliamentary History, 31 (2012) and the broader written and printed reaction to the Cromwellian Protectorate in general and the offer of the crown in particular in his full-length study Perceptions of a Monarchy without a King: Reactions to Oliver Cromwell’s Power (2013). J. Peacey asks whether Cromwellian Britain was a propaganda state in History, 91 (2006). Cromwell’s and the Protectorate’s foreign policy is survey by T. Venning, Cromwellian Foreign Policy (1995) and in the first part of S. Pincus, Protestantism and Patriotism (2002). The war of 1652-4 which the Protectorate inherited is assessed by J.R. Jones, The Anglo-Dutch Wars of the Seventeenth Century (1996). The Western Design and conquest of Jamaica in 1655 are examined in different ways by J. Robertson in English Historical Review, 117 (2002), N. Greenspan in History Workshop Journal, 69 (2010) and, at greater length, by C.G. Pestana, The English Conquest of Jamaica: Oliver Cromwell’s Bid for Empire (2017). The 1655 campaign is also reviewed as part of the wider study by N. Greenspan, Selling Cromwell’s Wars: Media, Empire and Godly Warfare, 1650-1658 (2012). In terms of the Protectorate’s British policies, by far the best study of Scotland remains F.D. Dow, Cromwellian Scotland (1999). Similarly, despite a wealth of new work on or covering Ireland in the mid seventeenth century, some of it by Barnard himself, as well as volumes written or edited by J. Ohlmeyer, M. Ó’Siochrú and others, T.C. Barnard, Cromwellian Ireland (2000) remains the best detailed study of the Protectoral period. J. Mills, ed., Cromwell’s Legacy (2012) offers an excellent and wide-ranging introduction to that subject, though see also P. Little, D.L. 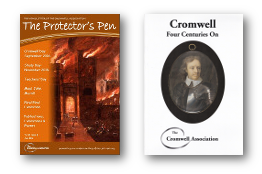 Smith and P. Gaunt on the different ways Cromwell has interacted with historical perspectives in Cromwelliana (2013) and J. Goldsmith on Cromwell’s supposed surviving possessions in Cromwelliana (2015). P. Gaunt, The Cromwellian Gazetteer (1987) remains the best starting point for Cromwell’s itinerary and his physical and geographical British and Irish legacy. For the chequered history and posthumous travels of part of Cromwell’s mortal remains, see J. Fitzgibbons, Cromwell’s Head (2008). Cromwell’s changing historical reputation is explored by C. Hill, God’s Englishman (1970), R.C. Richardson, ed., Images of Oliver Cromwell: Essays for and by Roger Howell, Jr. (1993) and B. Worden, Roundhead Reputations: The English Civil Wars and the Passions on Posterity (2001), chapters eight to eleven.